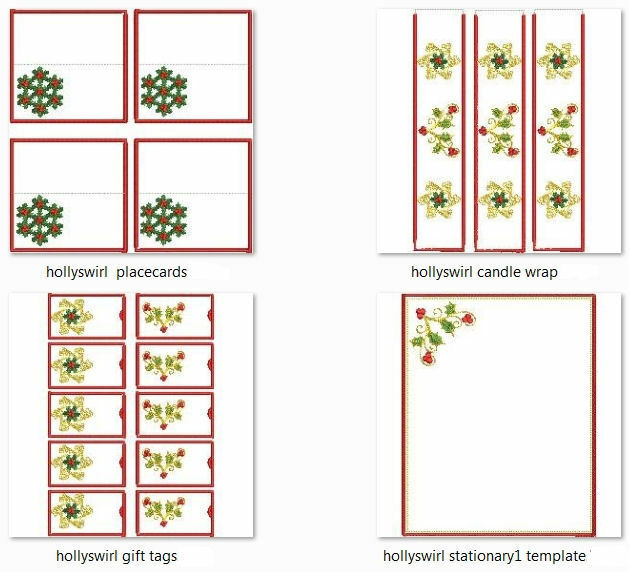 A fancy swirl and twirl with holly will bring lovely accents to your holiday decorating both with embroidery and our new included “Printables” of these designs which can be used to continue the holly theme to gift cards, stationary, candle wraps, the dinner table and beyond. 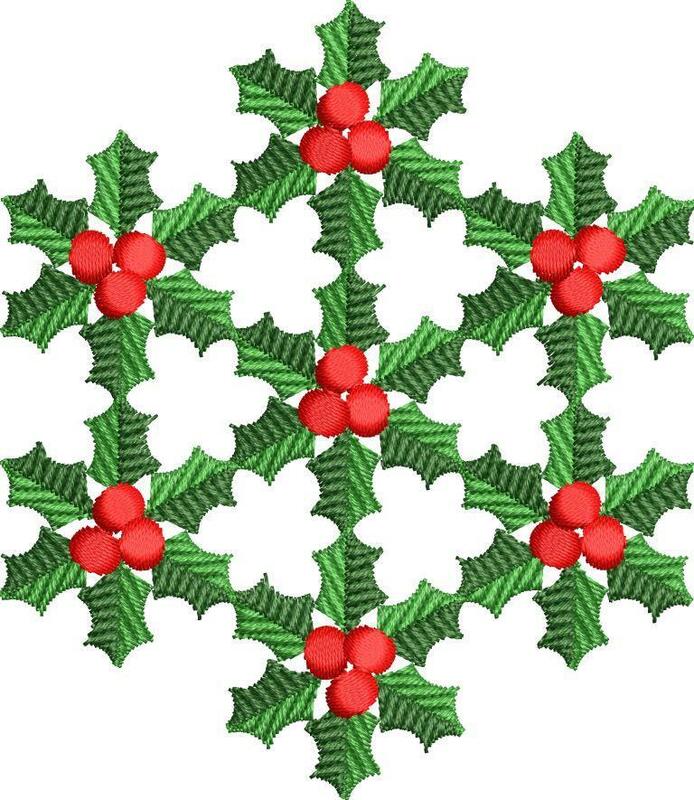 (Full instructions are included)...Enjoy! 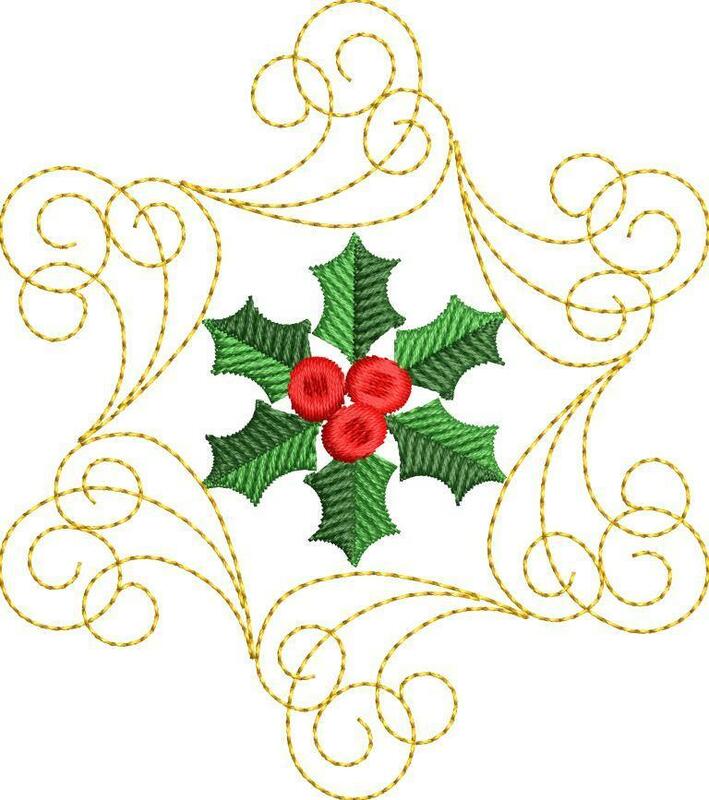 Earn 15 points at checkout OR buy this item for 299 points. 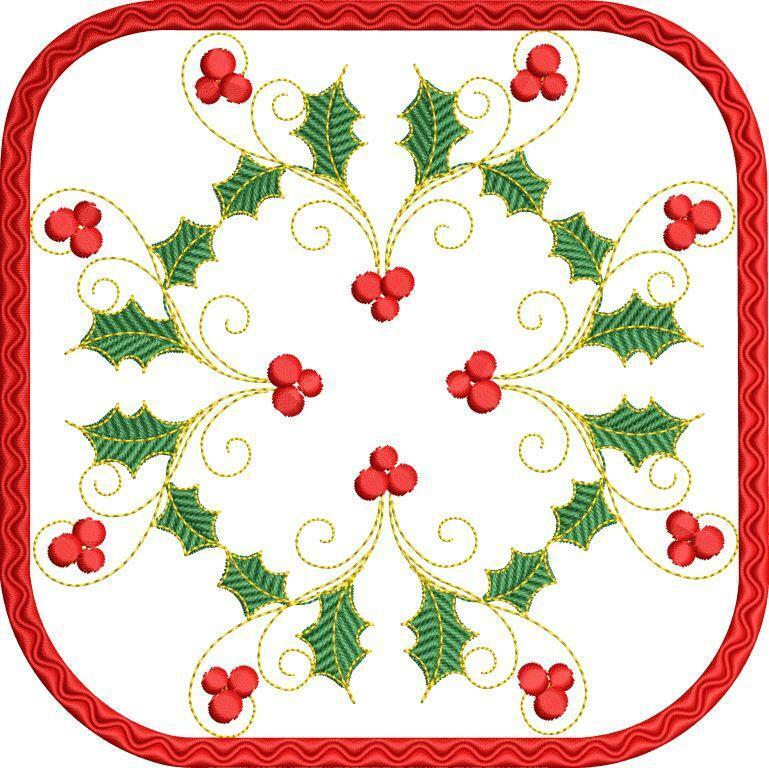 Fleur De Lis 1 Applique - 2 Sizes! 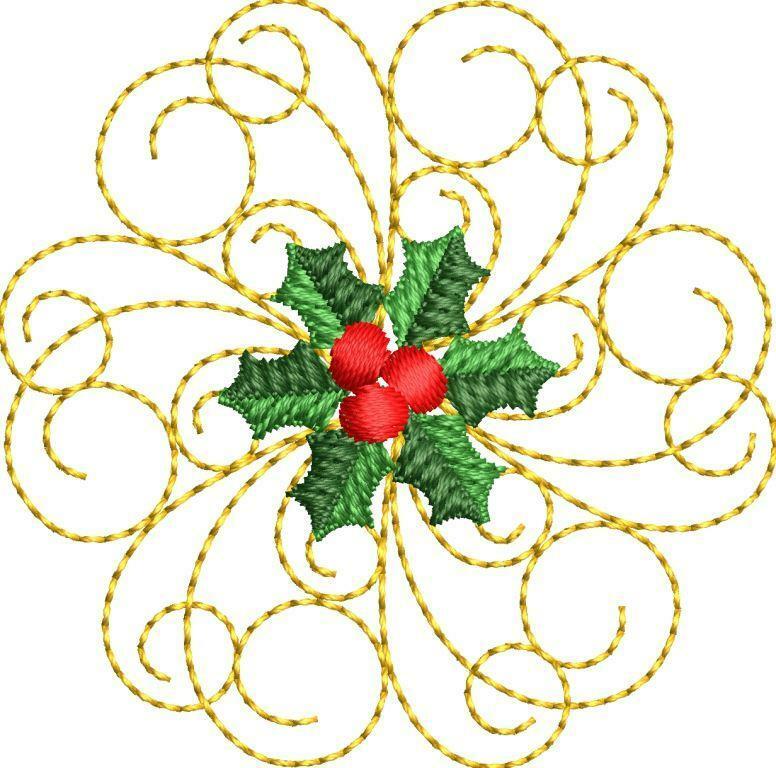 Flower Applique - 2 Sizes! 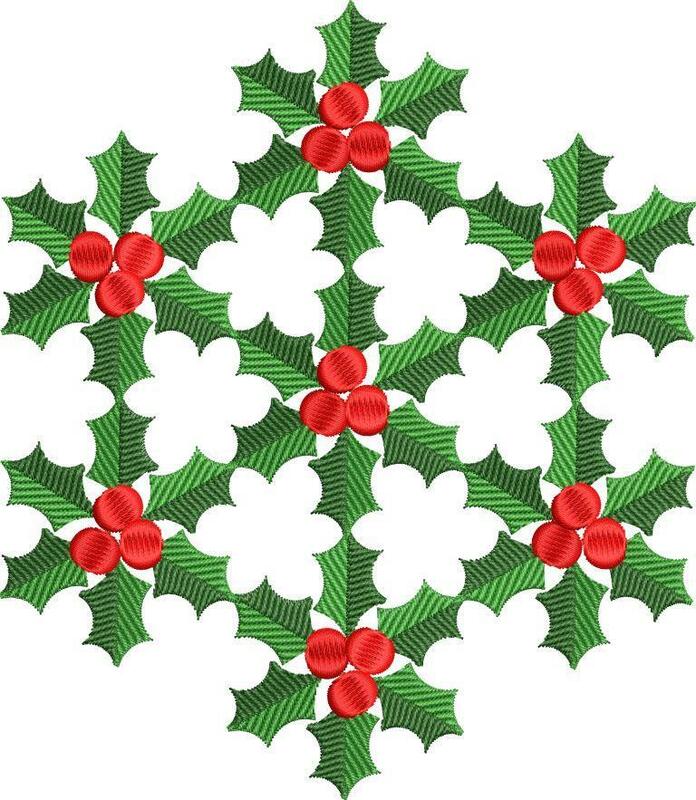 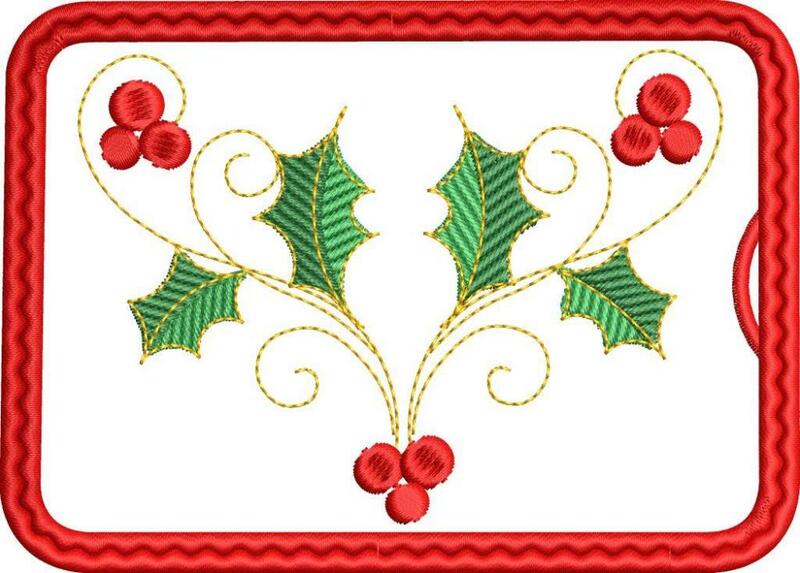 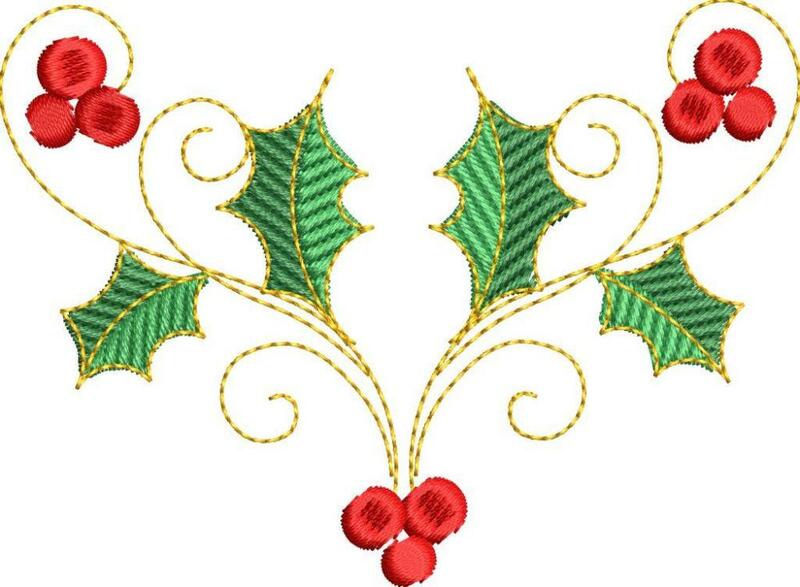 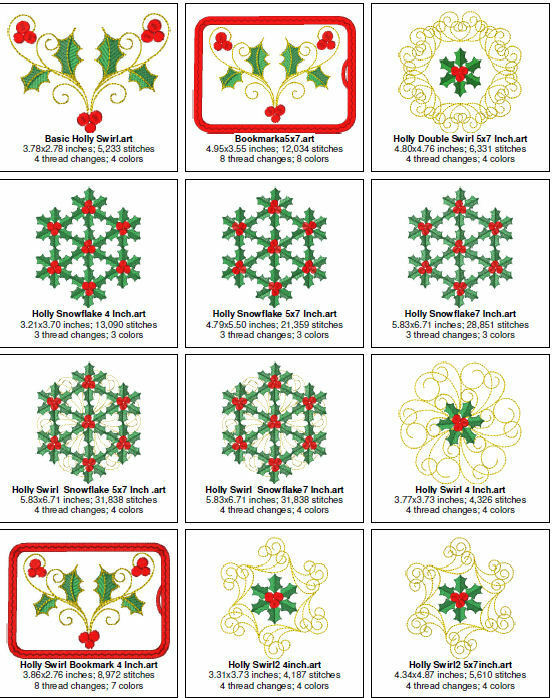 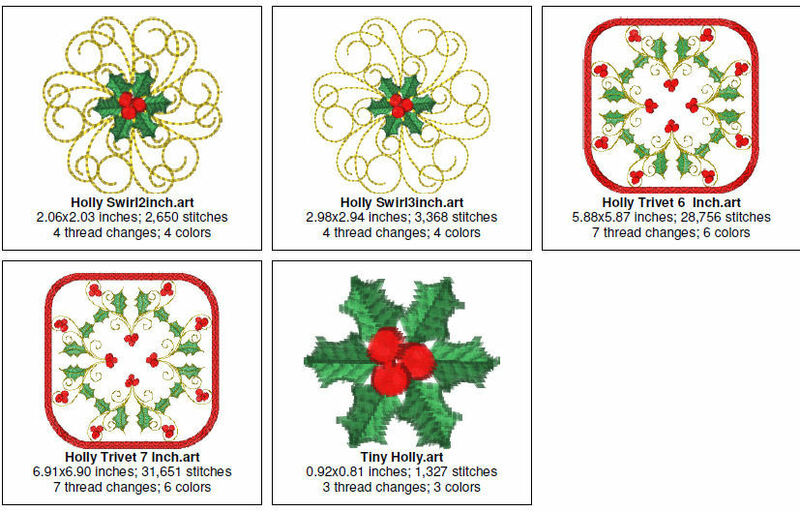 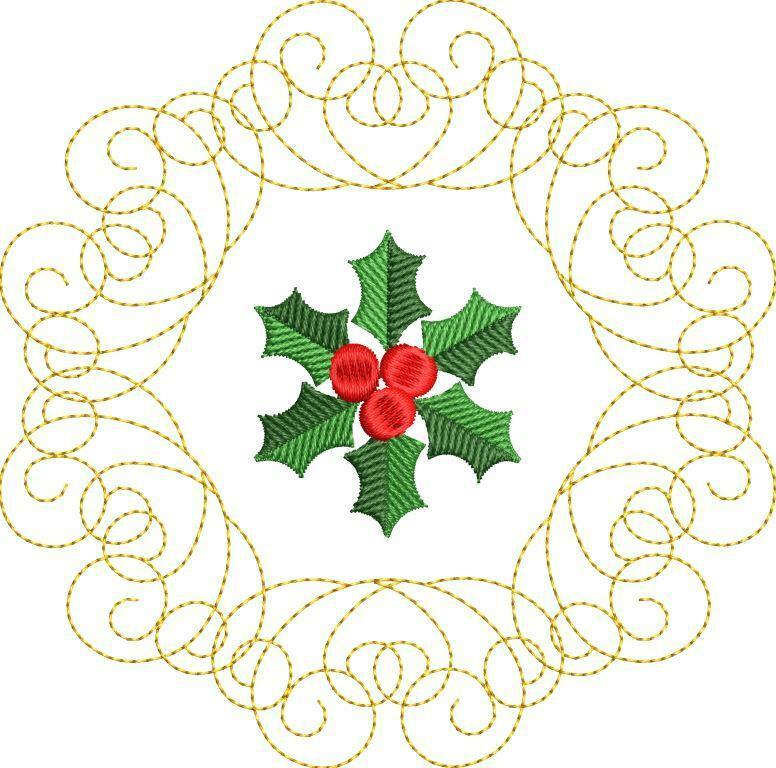 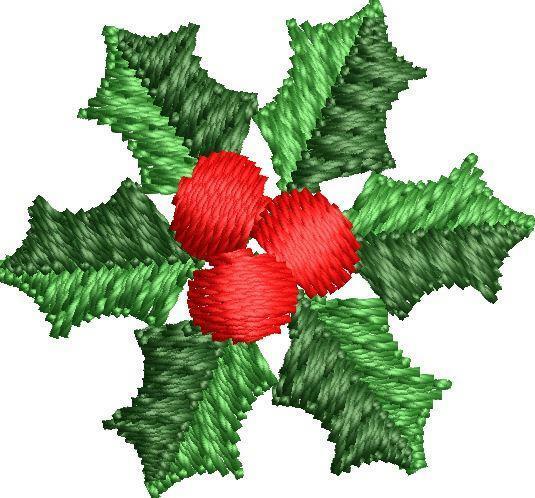 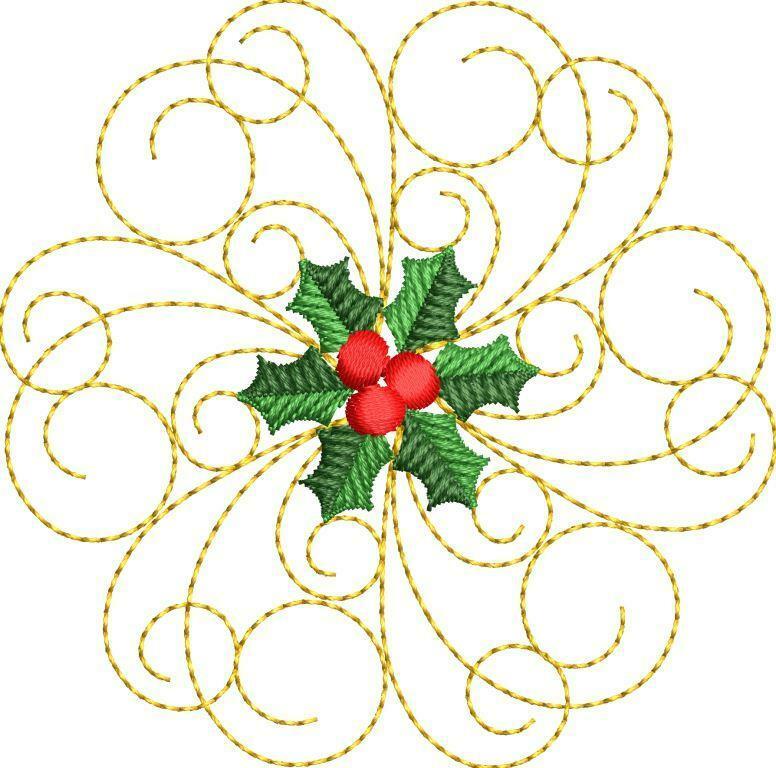 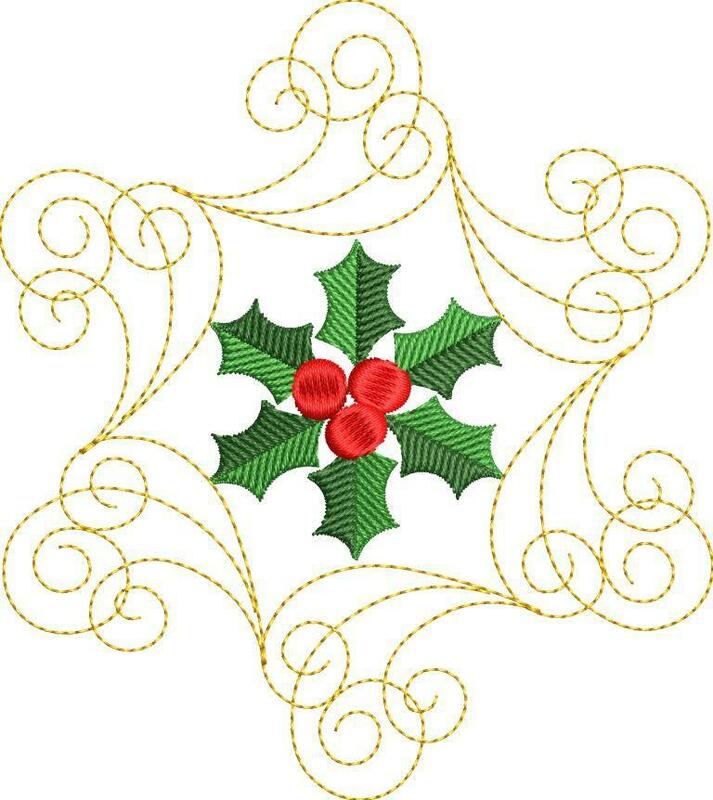 Holly Applique - 2 Sizes!